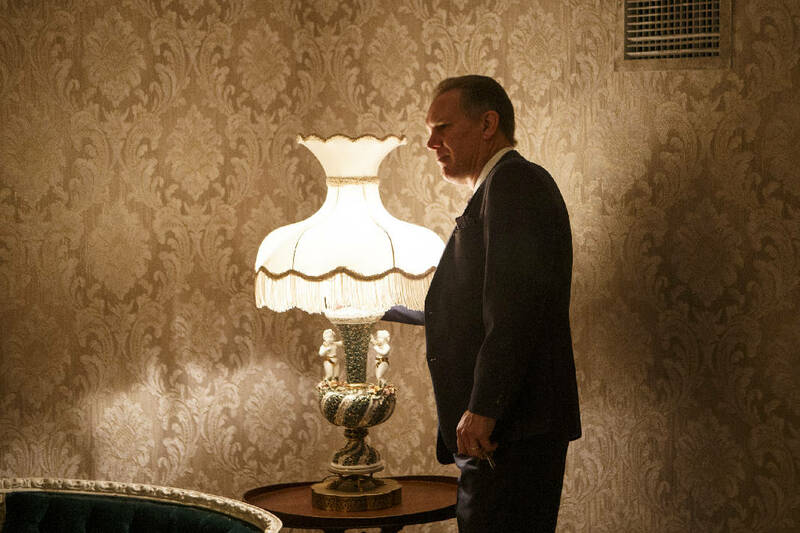 Ken Merkel, general manager of the Read House, turns on a light in Room 311 at the Read House. The room is supposedly haunted by the ghost of Annalisa Netherly, who was murdered in the room's bathtub in the 1920s. We tried. We really tried. Staying in Room 311 at the Read House in downtown Chattanooga, it's almost required that you try to contact the ghost of Annalisa Netherly. It may even be part of the paperwork you sign at the front desk when checking in; I didn't look. According to reports, Annalisa is still floating around after being found in the room's bathtub, suffering from what may delicately be called a massive head wound. As in, her head was almost completely severed from her body. › The Read House, 107 W. M.L. King Blvd., will relaunch Room 311 with free tours from 5 to 7 p.m. Monday, March 11. The event includes a signature cocktail, hors d’oeuvres and valet parking. RSVP at www.paperlesspost.com/flyer/go/be47doDugr7lJRF4weMG. › To book a tour at another time, call 407-536-2735. › For more information on Room 311, the Read House hotel and its recent renovations, visit www.thereadhousehotel.com. My wife and I recently stayed overnight in Room 311. I believe in ghosts, so I was hoping for something cool to happen. My wife, Lori, has actually had paranormal experiences in the past, so she is a believer, too. Sadly, our attempts to converse with Annalisa, or even just have something weird happen, came up empty. We were roundly snubbed. Our disappointment was offset somewhat by the fabulous meal at Bridgeman's Chophouse we were served beforehand. Ask for Derek as your waiter. Stories vary on what happened to Annalisa. She definitely was found dead in the tub, but who did the deed is fuzzy. Some say she previously had been caught with another man by her husband, who was obviously peeved. Other stories say she was a prostitute killed by a "gentleman caller." Still others say she committed suicide, although almost sawing off your own head seems like a challenging task. Whatever the cause, in the decades since Annalisa's death, people have reported strange happenings in the room. A feeling of weighty oppression in the room itself. Shadows on the wall where there should be no shadows on the wall. Being touched or poked when asleep in bed. Knocks on the door and, when opened, no one there and nowhere for a person to hide. Some guests reportedly have left the room in the middle of the night because they were so unnerved. Once settled into Room 311, Lori and I taunted; we teased. We were nice; we were not nice. We even left Scrabble tiles on the coffee table with the letters that would spell her name and told her we hoped she would play the game with us. She apparently was not in a fun-loving mood. Photos showed no floating orbs, which ghost hunters say can indicate spirit activity. No strange shadows danced across the walls. No strange knocks came on the door, although what sounded like semidrunk hotel patrons did wiggle the doorknob about midnight. Even so, Room 311 is about to get a lot more attention. The Read House recently finished a $28 million renovation, which included completely rehabbing 141 rooms. Room 311 was included in that renovation, but it will only be rented out by special request. Still, hotel folks are not shy about promoting the room and its noncorporeal guest. On Monday, March 11 — 3/11, get it? — there will be a special "launch" to highlight the room and its history, which included a stay by mobster Al Capone before his incarceration in the federal pen in Atlanta on tax-evasion charges. During the renovations of the historic Read House hotel, Avocet Hospitality, the hotel’s ownership group, reported “a few hiccups” in the construction process in Room 311. Though company officials would not confirm any paranormal activity, there were several incidents in the room that gave them pause. For instance, two pipes in the room randomly burst in the middle of the night, a plumbing mishap that did not happen in any other area of the hotel. 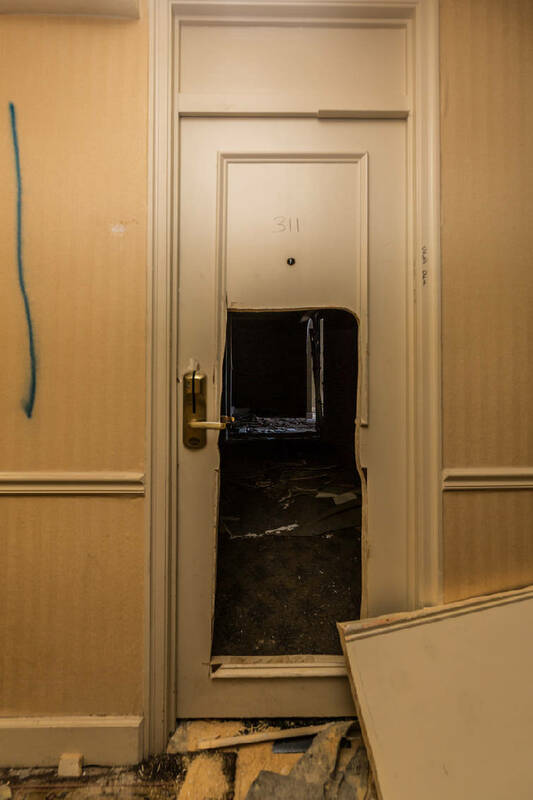 Perhaps the most striking incident occurred when construction crews were scheduled to demolish Room 311 but could not open the door by using a key or manual force. They eventually had to cut the door in half with a saw to gain access. Instead, Avocet Hospitality redid Room 311 in furnishings reminiscent of the 1920s to complement the room’s most storied era. During our visit, employees talked about the haunting with little to no prompting. Framed articles about Room 311 and Annalisa hang on some walls. When told that we had stayed overnight in Room 311, one valet said "Whoa!" and seemed truly impressed. In keeping with the Annalisa theme, Room 311 has been returned to the way it looked when she was there. No modern amenities such as TV, hair dryer, coffeemaker or USB plug-ins. There are electric lights and plugs and a phone, which is done up, of course, in the overwrought style of the early 20th century. Even the lock on the door is worked with a key, not a swipe card. "The room was restored to make Annalisa Netherly comfortable — not today's hotel guest," said Read House General Manager Ken Merkel. Back in the Roaring '20s, while Art Deco styling was all the rage, the Read House stubbornly refused to change. Perhaps it was the hotel's clientele, who likely were stuffier and more upper crust in those days than the young whippersnappers who preferred to move to modern Art Deco. Room 311's furniture is Victorian, dark and heavy with ornate — some would say ridiculously elaborate — carvings. The living room — excuse me, the parlor — features two chairs, a sofa and a marble-topped coffee table that could have been pulled from the Palace of Versailles. Lamps have tassels like the ones that dangled and danced on the hems of the dresses worn by 1920s flappers. The bathroom has a clawfoot tub — the same style that Annalisa used, just blood-free — and the type of toilet with the water tank located on the wall above and a pull chain to flush. "After reading all accounts of haunted Room 311, we knew the best thing to do was to leave the room exactly where it was and do our best to re-create the room Annalisa stayed in during the '20s. The more we can make her comfortable, the more likely she will not disrupt our guests," said Jon Weitz, owner and president of Avocet Hospitality, which now owns the hotel. While we didn't experience Annalisa activity, Read House employees have other stories and photos of strange happenings in the hotel. While dining at Bridgeman's Chophouse, restaurant manager David Michaelson pulled up a couple of photos on his smartphone. One shows a dark, ghostly face appearing on the wall behind a woman photographed in the hotel lobby. The face is said to look like Dr. John T. Read, who rebuilt the building after it burned down in 1867. Before that, the former building was another hotel, the Old Crutchfield House, and also served as a hospital for Union soldiers during the Civil War; speculation is that their ghosts could also be wandering around and contributing to the hauntings. The freakiest photo, however, was taken in offices in the basement. A female employee took a selfie to post on social media. What she didn't notice until someone pointed it out was the hand resting on her left shoulder. With no one behind it. The ghostly hand is plainly visible, right down to a shockingly solid-looking fingernail. The employee was so shaken, she had to leave work for the day, Michaelson said. After seeing the photo, I don't blame her. Email Shawn Ryan at mshawnryan@gmail.com.